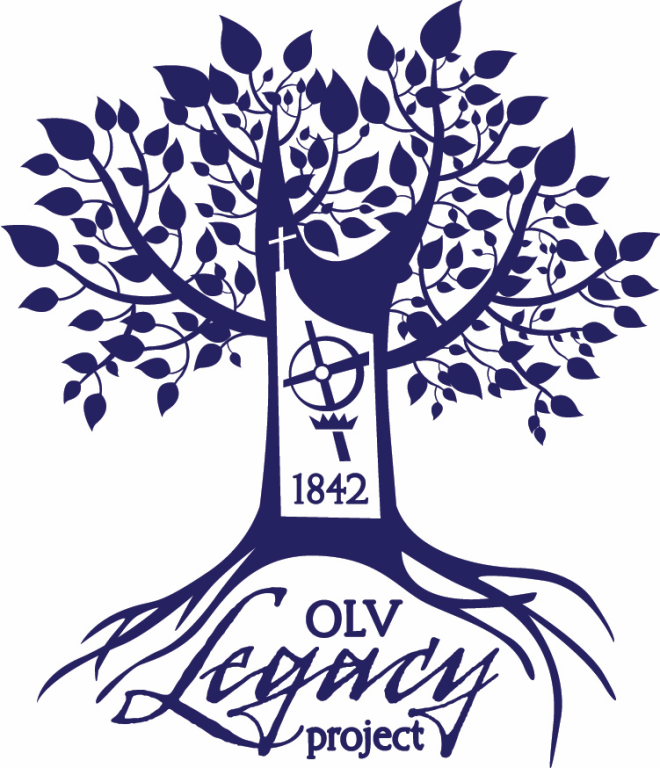 The OLV Legacy Project was an enthusiastic group of parishioners aiming to leave our generation’s stamp on OLV, much like prior generations did with the church, the gym, Field 5, the Convocation Center, and the Schimpf Shack & concession shelter. 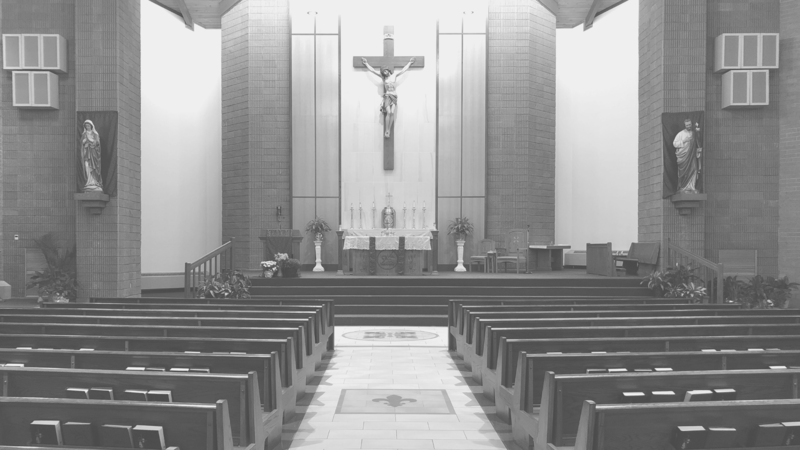 While certainly not a complete list, these beloved, often-used parts of our campus came to fruition because so many wonderful parishioners before us had the foresight, dream, and drive to bring them to life. The OLV Legacy Project Team is excited to announce four projects that enhanced our parish, school, and community: Our Lady of Victory Grotto, Rosary Walk, Outdoor Classroom, and Children’s Playscape. When my family was looking for a spiritual home, we weren’t sure if Our Lady of Victory would be it, but my wife and I always felt at peace during the Mass here, so after prayer, seeing the facilities, and learning of Our Lady of Victory’s history and commitment to the Blessed Mother, it was clear OLV was for us. But I still struggled to find my purpose. Why was I called here? Then, while praying the rosary, a vision came to me: a grotto, rosary walk, outdoor classroom and playground built right here on these grounds. My first reaction was, “Wow, this would be great if someone else would do it!” The Lord is funny, isn’t He? I tried to put it from my mind, but for the next few days, I couldn’t stop thinking about what I’d seen. In passing, I mentioned it to a few people who loved the idea, and asked me to present it at the Parish Picnic. I was scared, but remembered the story of the two farmers. Both desperately needed and prayed for rain. Without a sign of certainty, one farmer began to plow his fields trusting God heard his prayer. Who has the greater faith? The farmer who prepared his field moved on the Word of God and received the rain. Matthew 7:7-9: “Ask, and it will be given to you; seek, and you will find; knock, and it will be opened to you." I couldn’t sit back and wait for a sign; it was time for me to ask, seek, knock, and prepare for the rain. I put the project out there. And an amazing thing happened: the project got rolling! Prominent members of the different Parish associations and community got on board and helped get financially started. We realized we would not only be building a few projects, but we’d leave a lasting legacy at OLV. But how would we pay for this? The few finances we’d acquired were not enough. Then the rain came. Anonymous donors began to give more and more funding. Enough so that our first project (the Grotto to our Lady) would break ground this very year. I still sit back in amazement at God’s good will unraveling. But the story is not over, and even though one project is nearly done, there is still much work to do, and now we need your help. I am again kneeling on the prayer of Matthew 7:7-9 as I ask you to stand with us. Please consider making a donation. When you donate $175 or more, you will get your name on a plaque outside the Convocation Center to always keep in stone your donation and commitment to Our Lady of Victory and you'll officially be a part of the 175 Legacy Club. 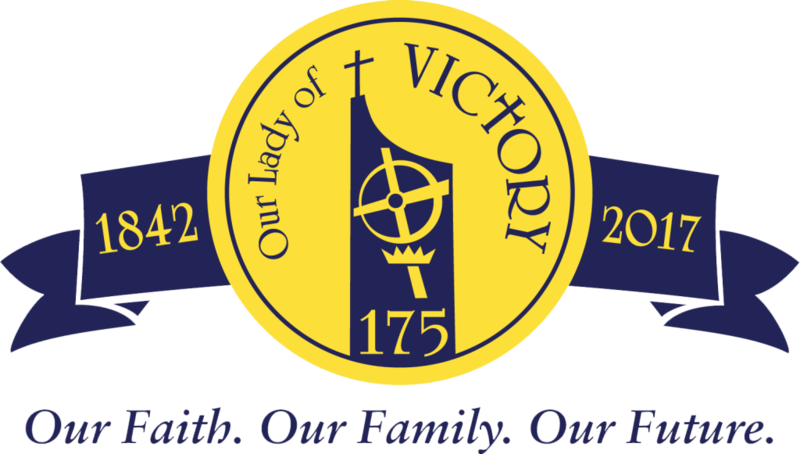 The Victory Legacy, as a firm and faithful Catholic community, is alive and well. Like the farmer who plowed his field trusting in God’s promise, Our Lady of Victory Parish is already praising the Lord for gifts unseen. Please pray about this, discern with your family, group or committee. Consider making a donation and respond before June 1st, 2017 so we can have your names on the plaque for our Feast Day Mass; you can find the Donation form on the Legacy Home Page. Help us prepare spiritual fields for the next 175 years any way you can, especially through prayer. The Spirit is moving in this parish. Be a part of it!